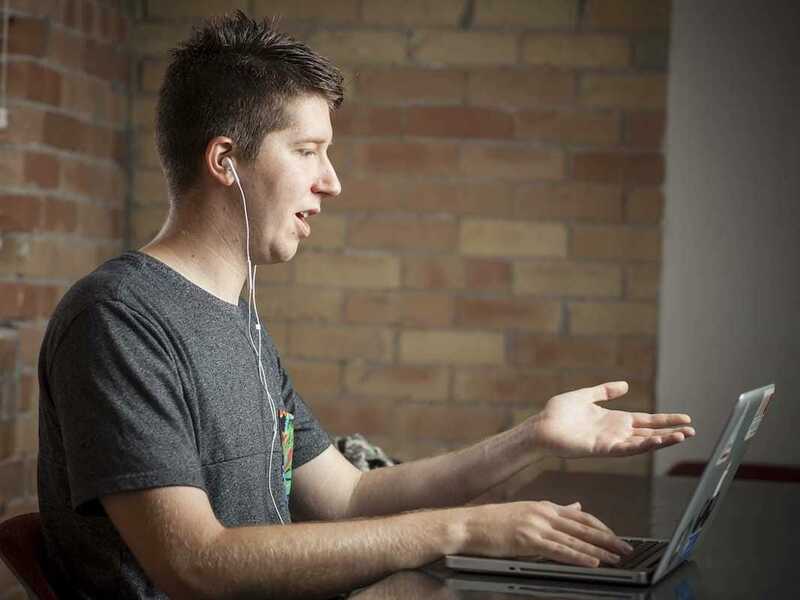 Nick WalterNick Walter, pictured, has created a major income stream from online courses. When the iPhone started taking over the US in 2008, Nick Walter was in Japan doing Mormon missionary work without a smartphone. Since that first introduction, Walter, who graduated from Brigham Young University with an information systems major (which includes elements of both computer science and business), learned to code and started doing freelance work building iPhone apps for local companies in Utah. About four years later, Walter was reading “The 4-Hour Workweek” and was inspired by the idea of creating a business that wasn’t super time intensive. Author Tim Ferriss recommended creating an online course, but Walter didn’t know what he could possibly teach — until Apple announced its first new programming language in over a decade, called Swift. Walter spent four days reading Apple’s documentation of Swift, “kind of translating into English and giving some extra examples.” Apple announced its release on June 2, 2014, and four days later Walter posted 50 videos, or one full course, to online education site Udemy. It was an introduction to Swift for beginners, called Swift By Examples. That first month, his course earned him $US45,000. The way Udemy works is that it charges students a set price — in this case, $US99 — to access the online course as many times as they want. If these students find the course through a link sent by Walter, he gets 97% of the money. 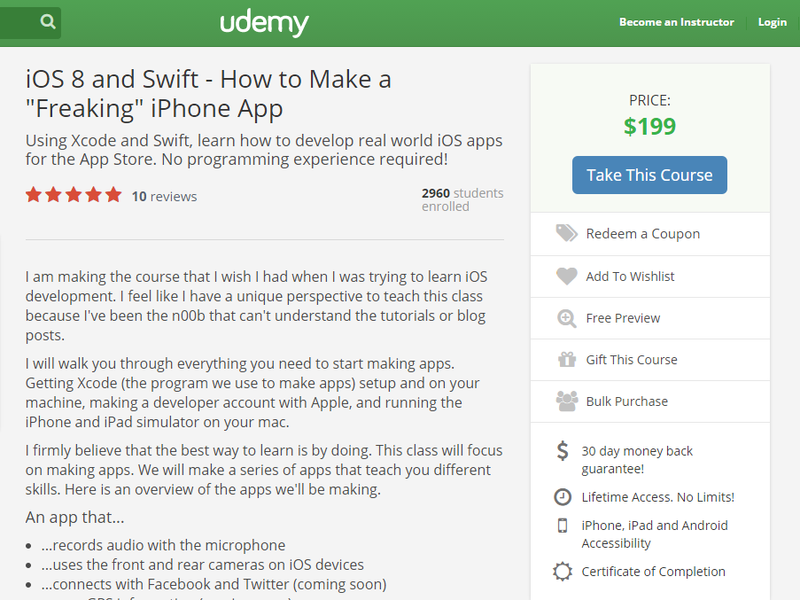 If they find the course through Udemy, he splits the money 50/50 with the company. Nick WalterHere’s what Walter’s second course looks like online. Not every month was quite so dramatic. Walter estimates that the following month, he earned $US7,500, then $US5,000 the month after that. His earnings evened out around $US3,000 for a few months, until he put up his second course in September: How To Make iPhone Apps, for $US199. That month, he earned $US66,000, a full year’s salary for many people. Today, over 8,500 people have taken the original course on Swift, and over 3,500 have gone through the iPhone class. Next, Walter plans to publish a class on how to build apps for the Apple watch (in fact, he’s currently running a Kickstarter campaign to fund its creation), where he says there’s a lot of opportunity for someone who wants to create the kind of income stream that he has.